In this second edition you’ll learn about Spyder, which is a Python IDE with MATLAB® -like features. 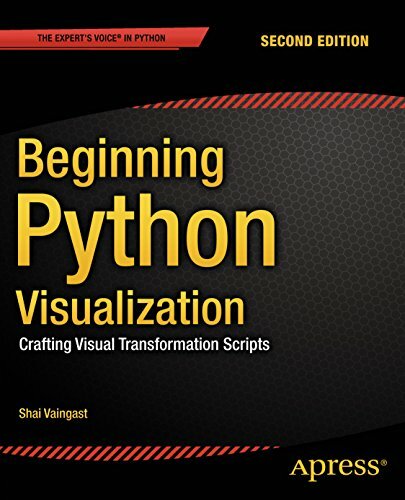 Here and throughout the book, you’ll get detailed exposure to the growing IPython project for interactive visualization. In addition, you'll learn about the changes in NumPy and Scipy that have occurred since the first edition. Along the way, you'll get many pointers and a few visual examples. As part of this update, you’ll learn about matplotlib in detail; this includes creating 3D graphs and using the basemap package that allows you to render geographical maps. Finally, you'll learn about image processing, annotating, and filtering, as well as how to make movies using Python. This includes learning how to edit/open video files and how to create your own movie, all with Python scripts. Today's big data and computational scientists, financial analysts/engineers and web developers – like you - will find this updated book very relevant. IT personnel, programmers, engineers, and hobbyists interested in acquiring and displaying data from the Web, sensors, economic trends, and even astronomical sources.